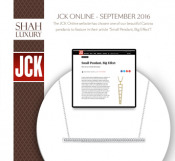 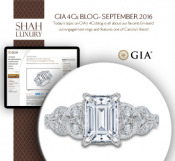 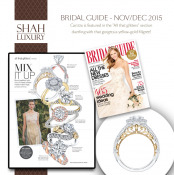 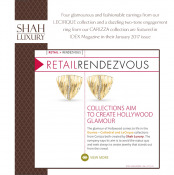 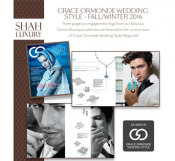 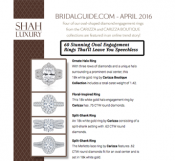 Find all Press activities about Shah Luxury Brands in the following section. 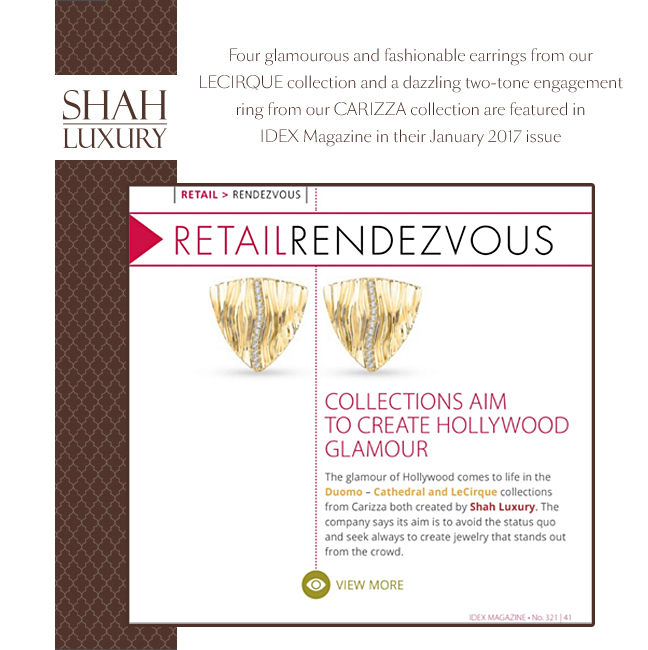 Four glamourous and fashionable earrings from our LECIRQUE collection and a dazzling two-tone engagement ring from our CARIZZA collection are featured in IDEX Magazine in their January 2017 issue. marthastewartweddings.com featured two of our stunning white gold engagement rings with oval center diamond in an article about Oval Engagement Rings for the Bride-to-Be. 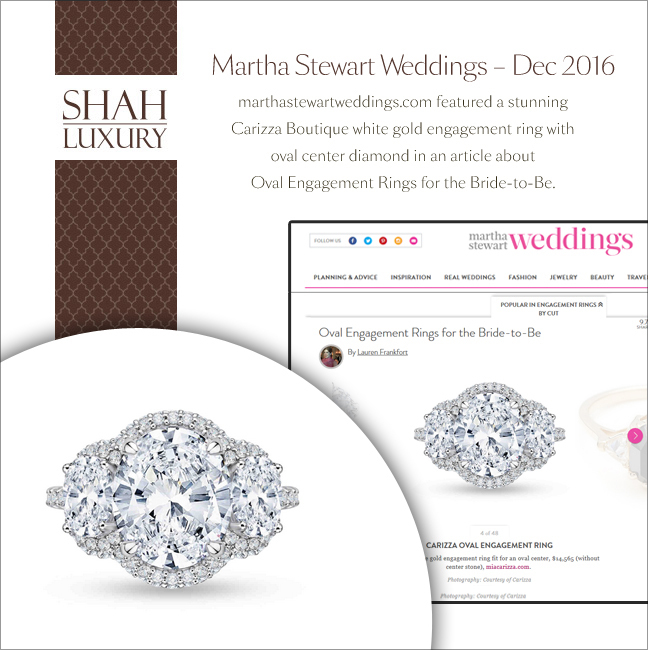 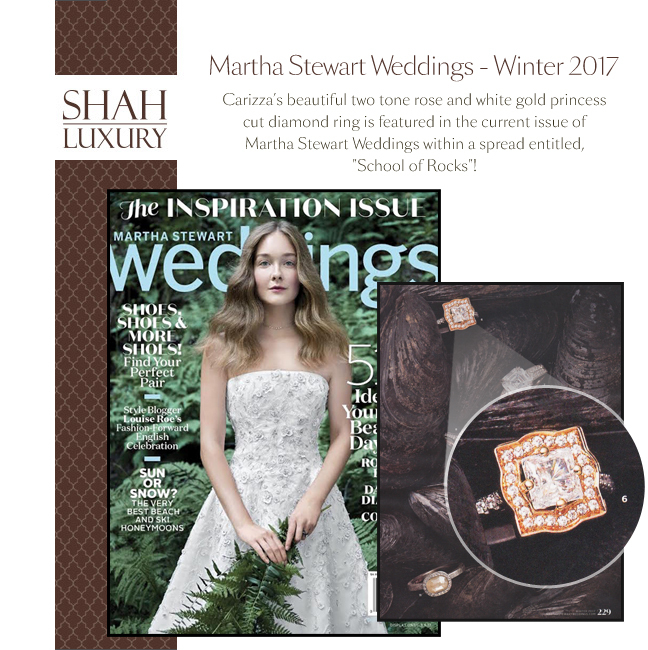 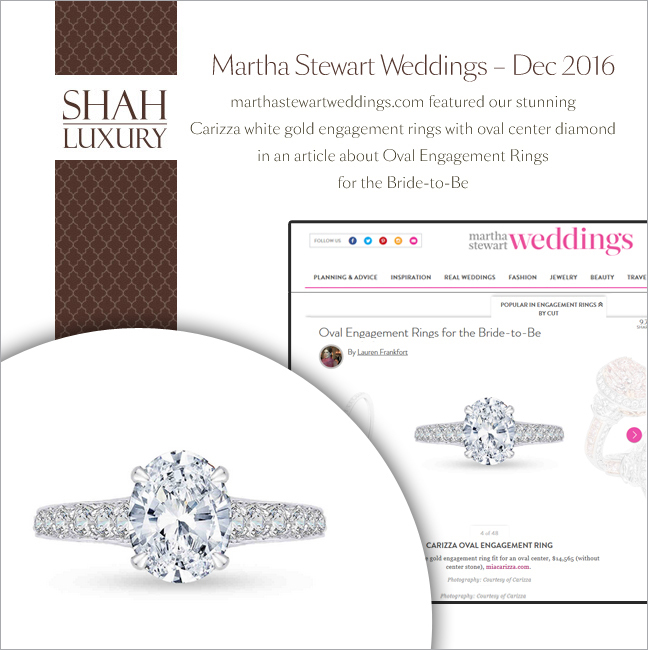 Carizza's beautiful two tone rose and white gold princess cut diamond ring is featured in the current issue of Martha Stewart Weddings within a spread entitled, "School of Rocks"! 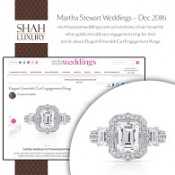 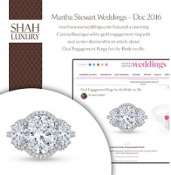 marthastewartweddings.com selected one of our beautiful white gold emerald-cut engagement ring for their article about Elegant Emerald-Cut Engagement Rings. Our yellow gold diamond ring with halo and double diamond shank is featured on marthastewartweddings.com in an article entitled, "Yellow Gold Engagement Rings". 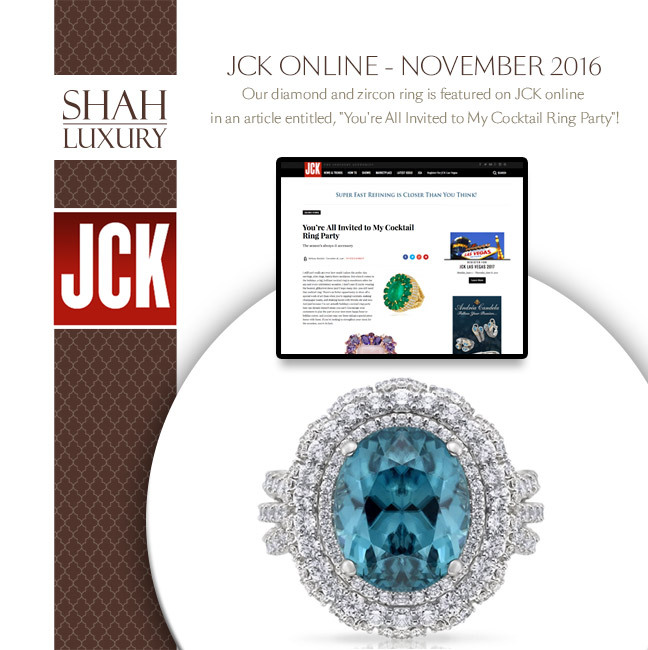 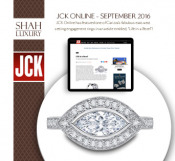 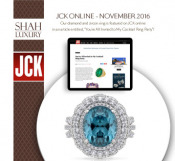 Our diamond and zircon ring is featured on JCK online in an article entitled, "You're All Invited to My Cocktail Ring Party"! 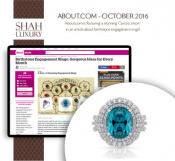 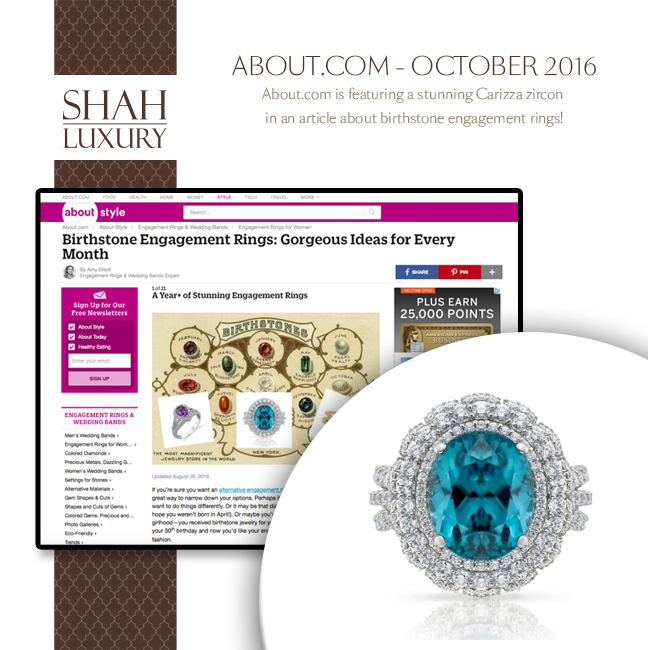 About.com is featuring a stunning Carizza zircon in an article about birthstone engagement rings! 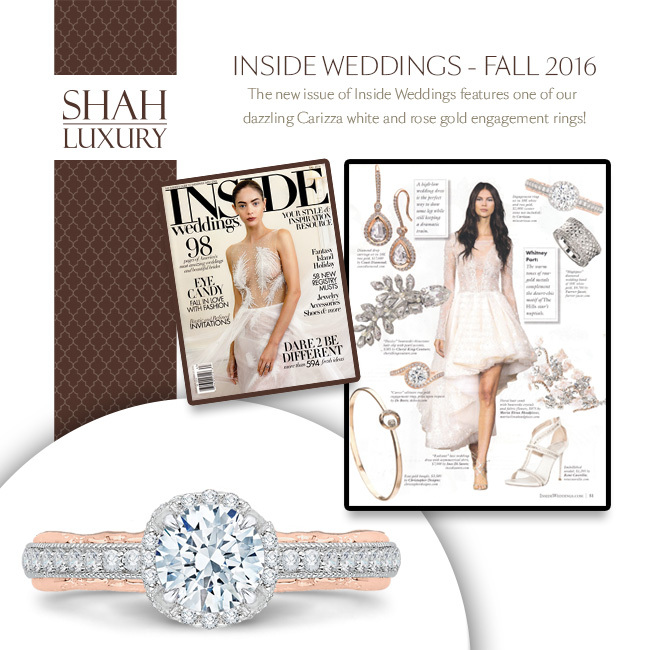 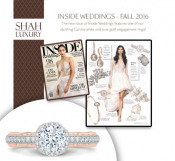 The new issue of Inside Weddings features one of our dazzling Carizza white and rose gold engagement rings! 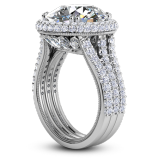 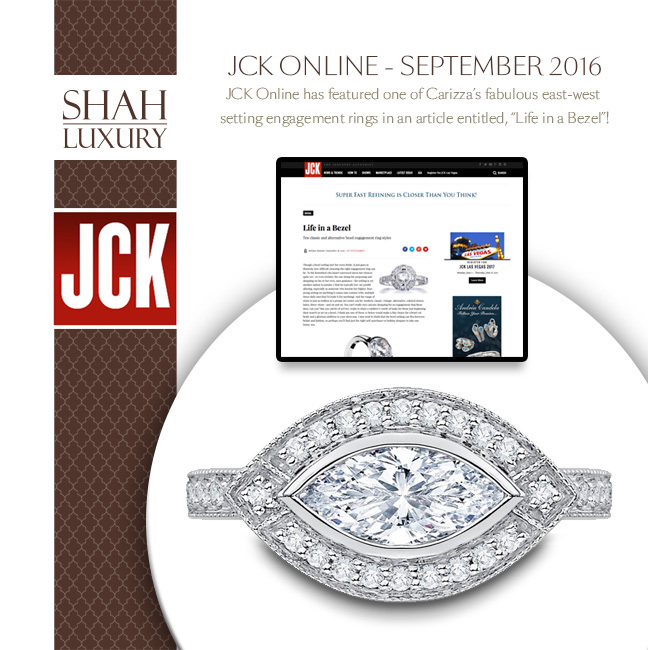 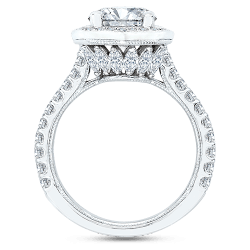 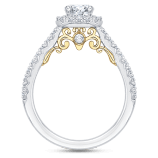 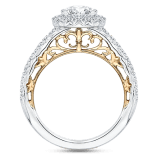 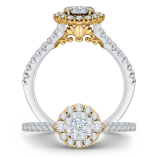 JCK Online has featured one of Carizzas fabulous east-west setting engagement rings in an article entitled, Life in a Bezel! 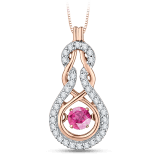 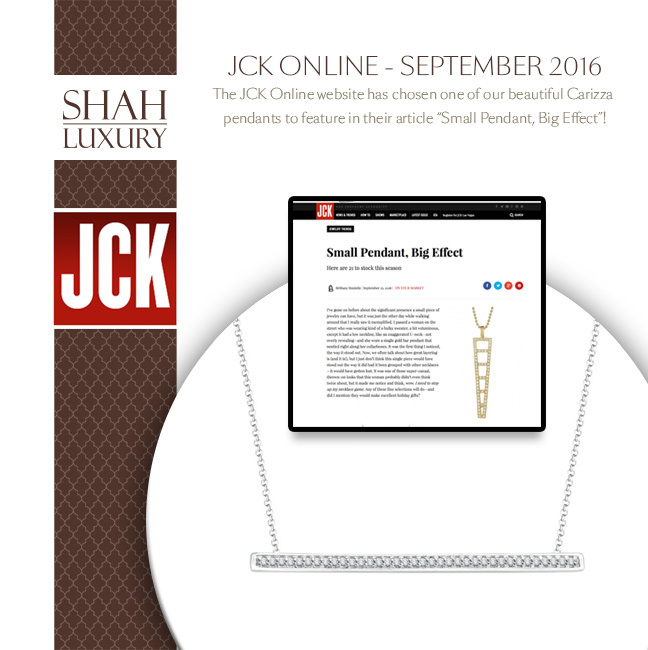 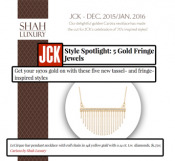 The JCK Online website has chosen one of our beautiful Carizza pendants to feature in their article Small Pendant, Big Effect! 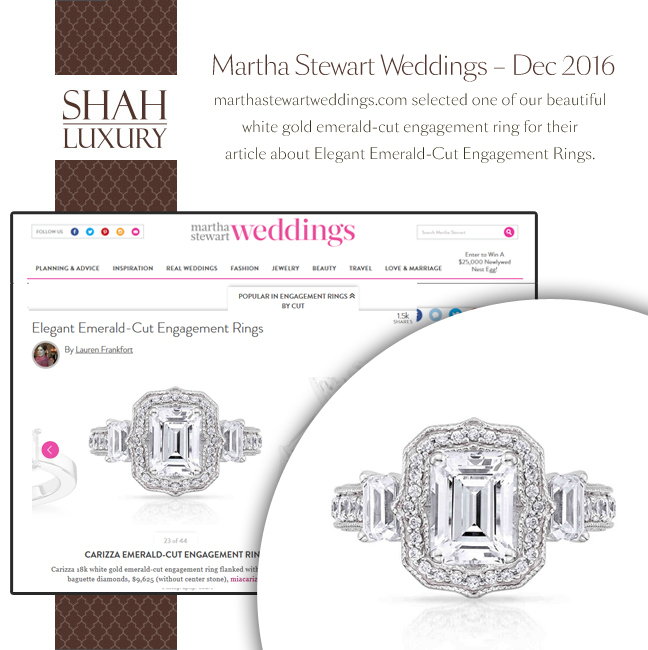 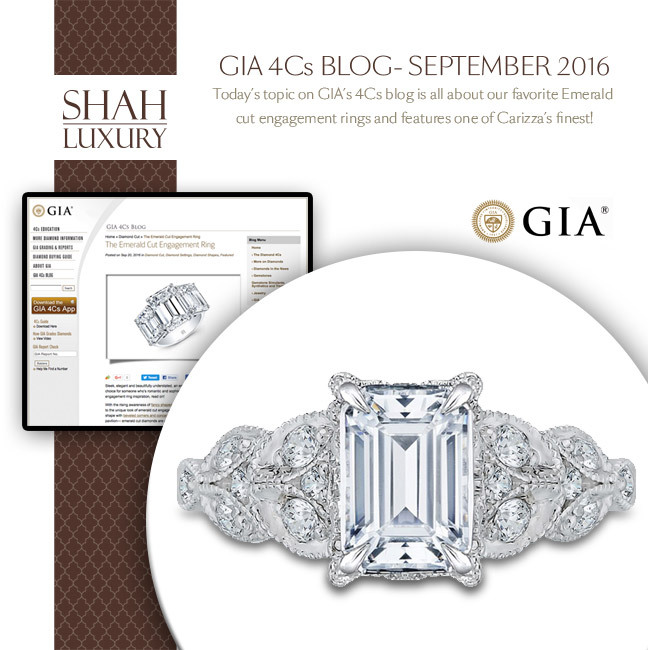 Todays topic on GIAs 4Cs blog is all about our favorite Emerald cut engagement rings and features one of Carizzas finest! 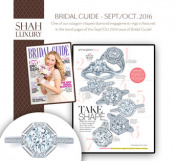 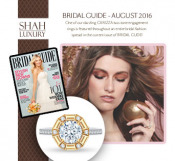 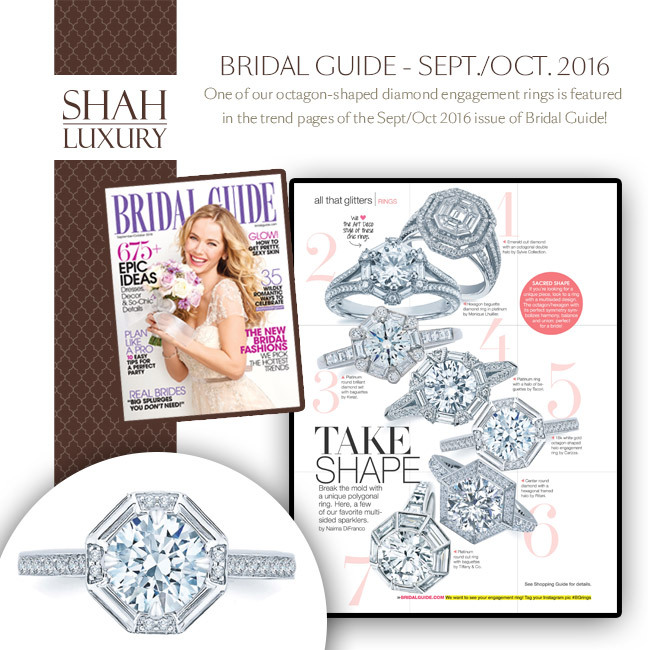 One of our octagon-shaped diamond engagement rings is featured in the trend pages of the Sept/Oct 2016 issue of Bridal Guide! 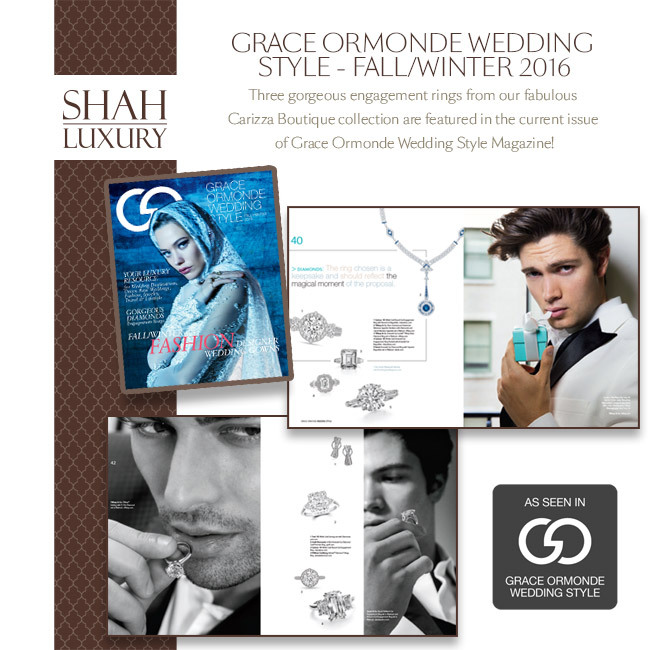 Three gorgeous engagement rings from our fabulous Carizza Boutique collection are featured in the current issue of Grace Ormonde Wedding Style Magazine! 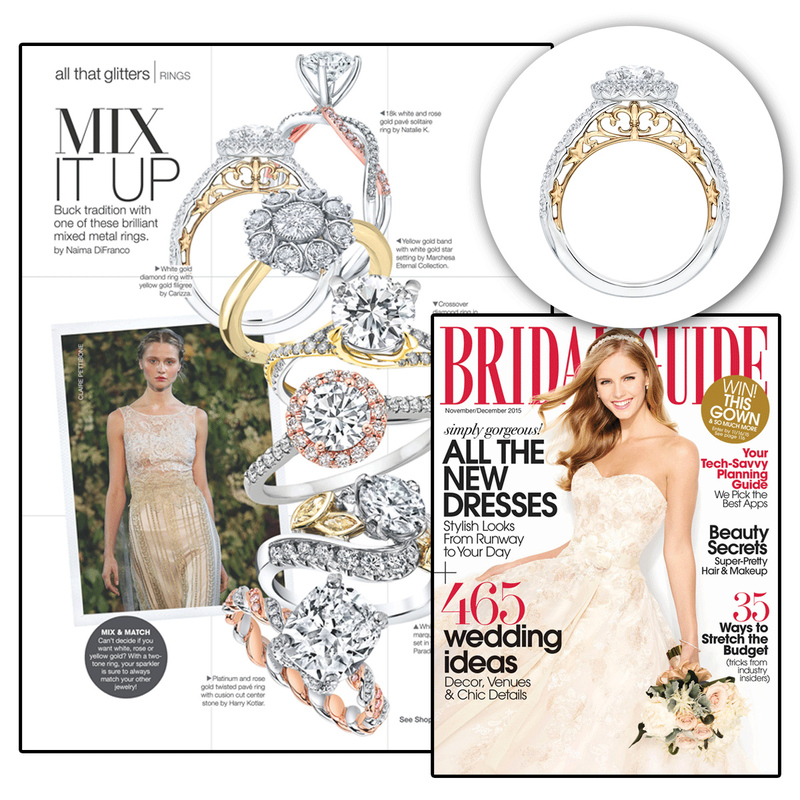 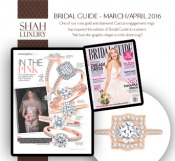 One of our dazzling CARIZZA two-tone engagement rings is featured throughout an entire bridal fashion spread in the current issue of BRIDAL GUDE! 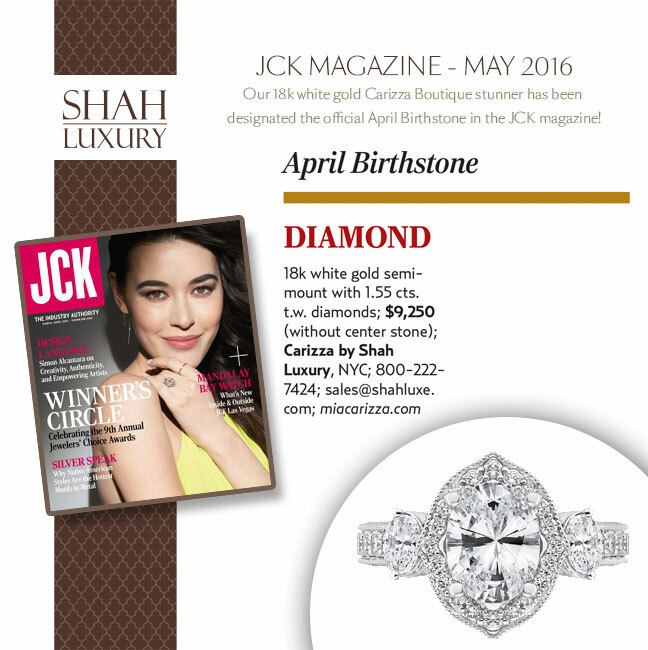 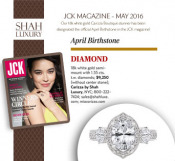 Our 18k white gold Carizza Boutique stunner has been designated the official April Birthstone in the JCK magazine! 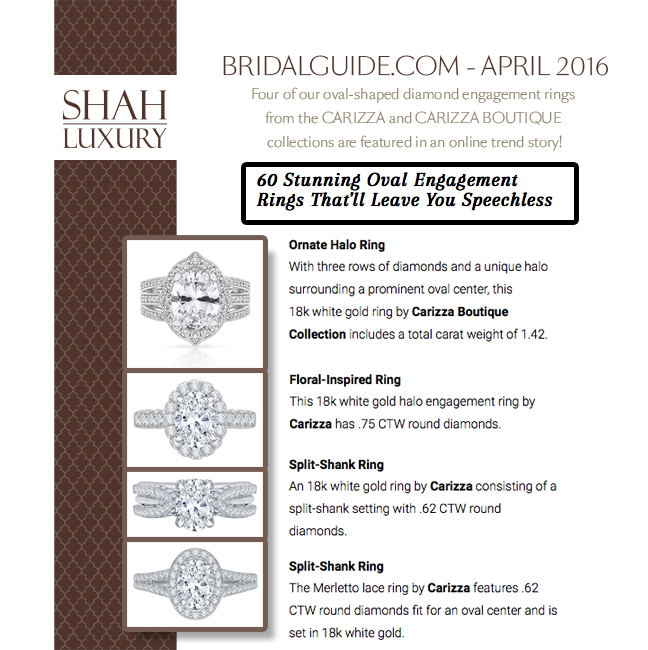 Four of our oval-shaped diamond engagement rings from the CARIZZA and CARIZZA BOUTIQUE collections are featured in the online trend story 60 Stunning Oval Engagement Rings That Will Leave You Speechless! 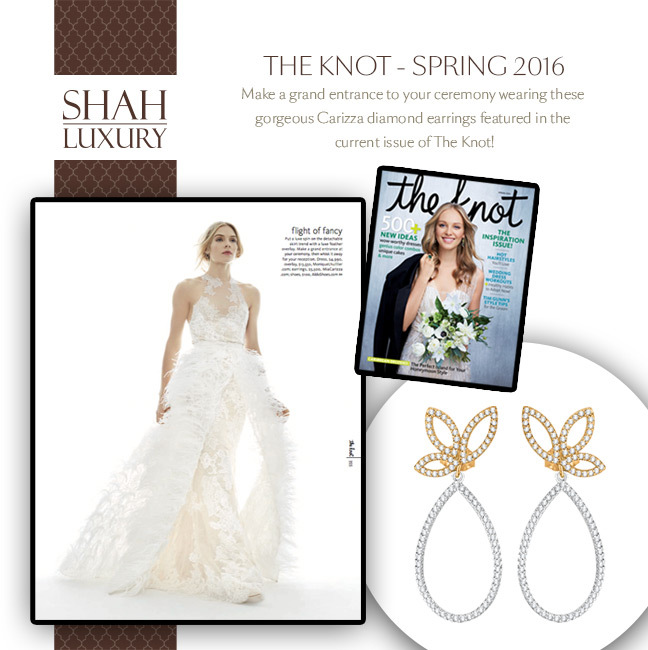 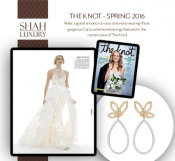 Make a grand entrance to your ceremony wearing these gorgeous Carizza diamond earrings that are featured in the current issue of The Knot! 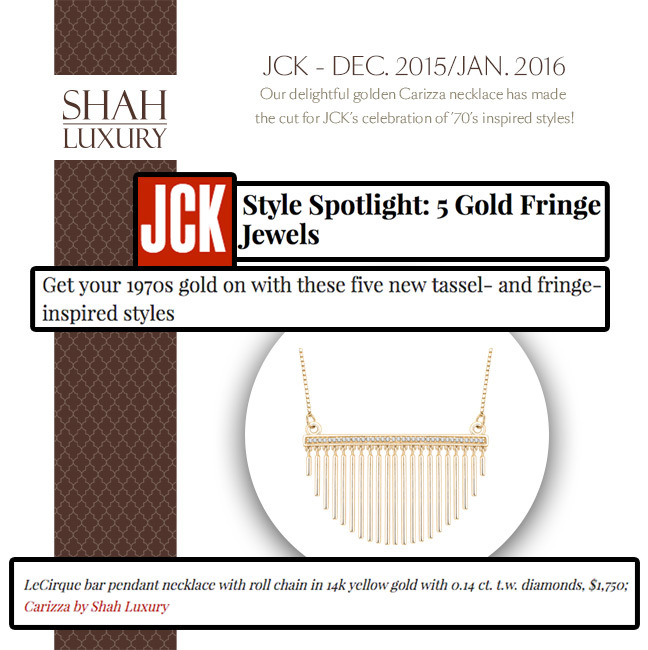 Our delightful golden Carizza necklace has made the cut for JCKs celebration of 70s inspired styles! 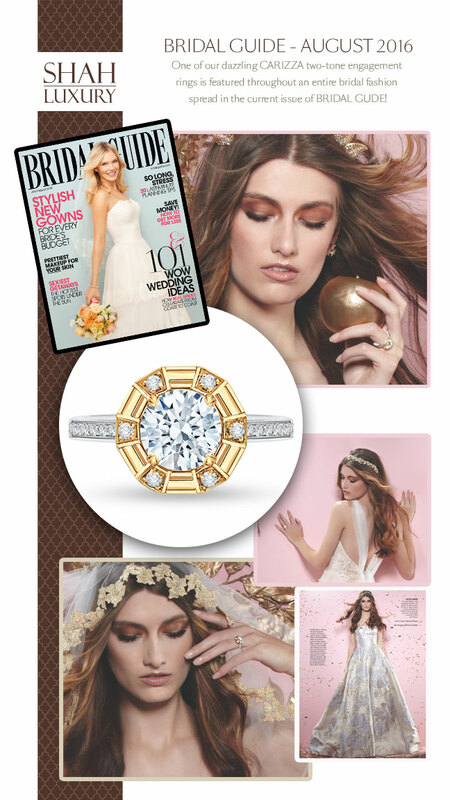 One of our rose gold and diamond Carizza engagement rings has inspired the editors of Bridal Guide to exclaim: We love the graphic shape on this sleek ring! 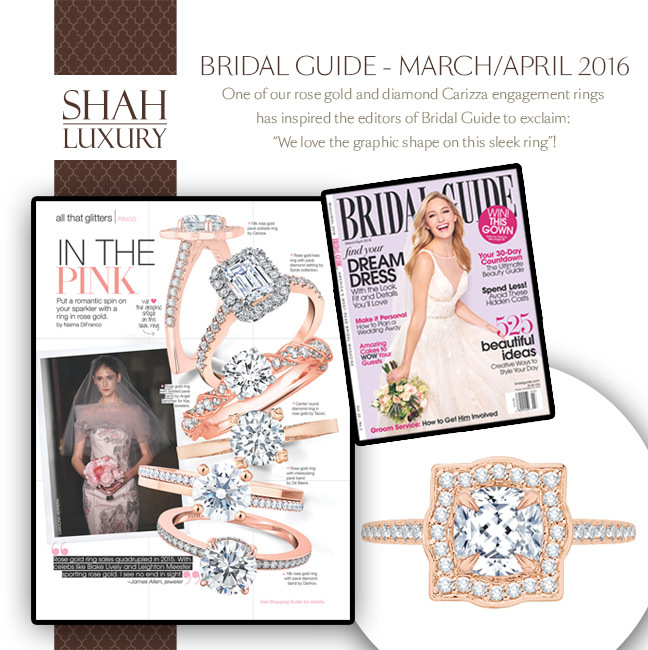 Carizza is featured in the "All that glitters" section dazzling with that gorgeous yellow-gold filigree!